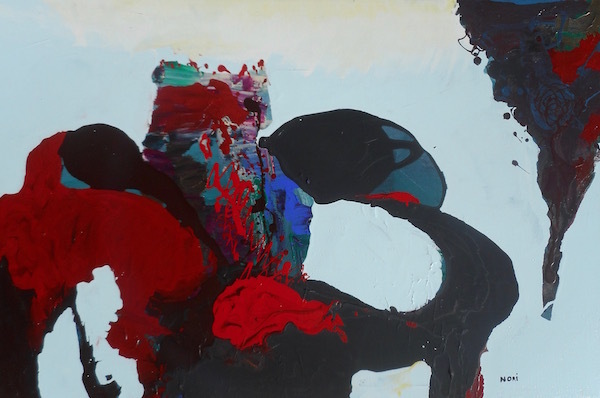 Outdoor painting, mixed media on wooden board, 45" x 45" (1990). 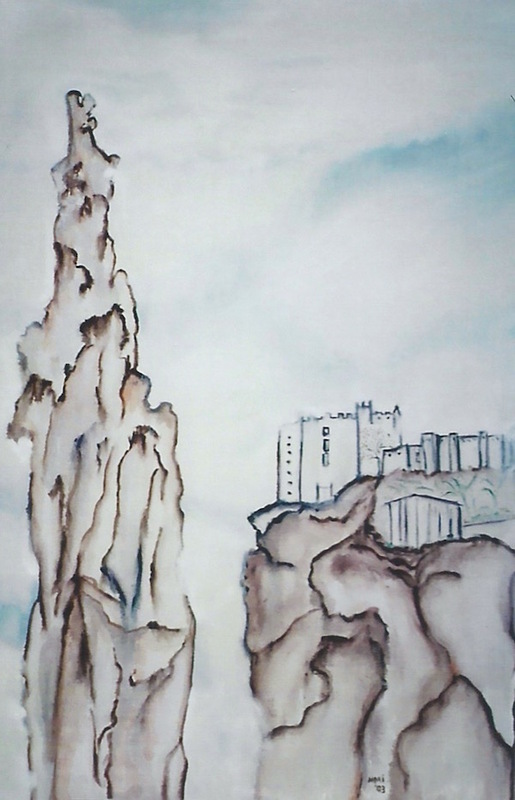 his view of the World Trade Center buildings changed in 2001 (2002). 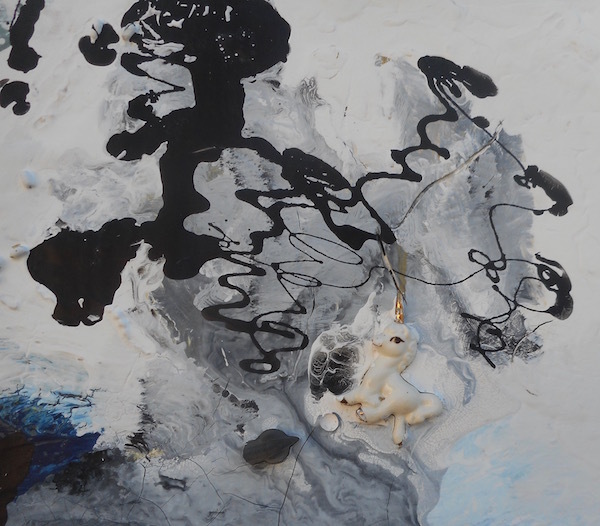 The Universe, house paint, enamel, mixed media on foam board, 60" x 36" (1996). 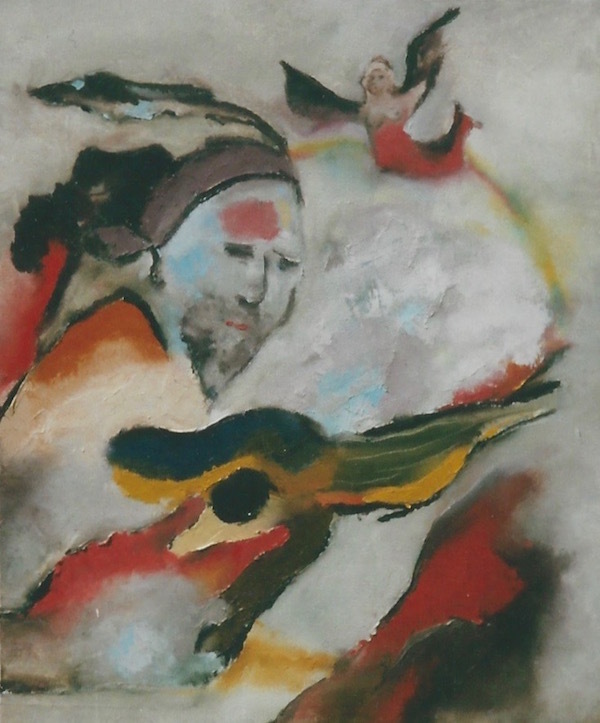 Jiva Departs, oil on canvas, 30" x 40" (1994). 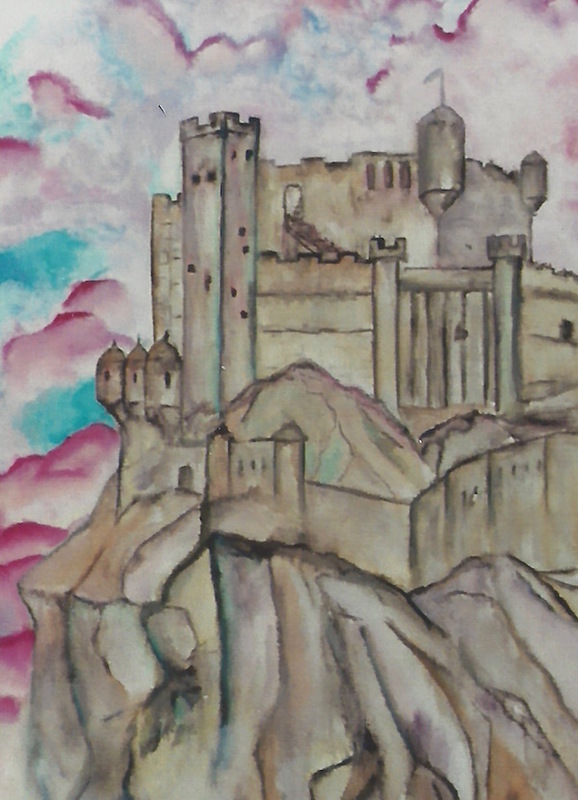 Edinburgh Castle, oil on canvas, 30" x 40" (1995). 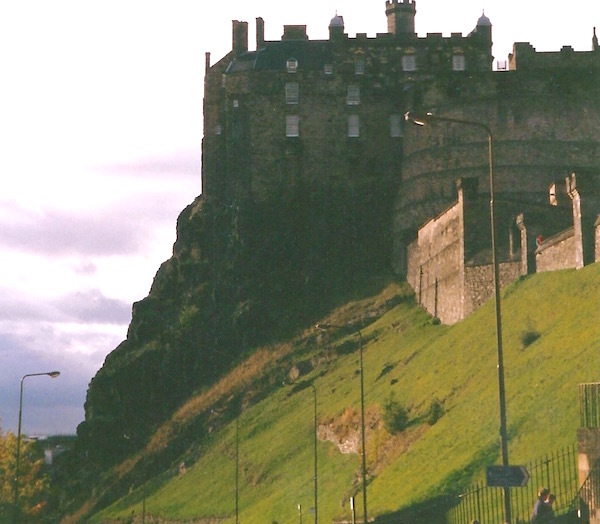 Photo of Edinburgh Castle, by Nori, basis of this painting. 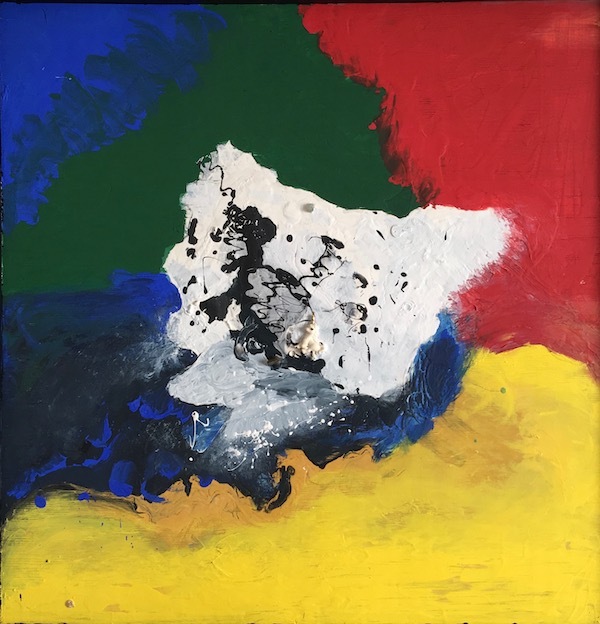 This is a copy made in 1995. 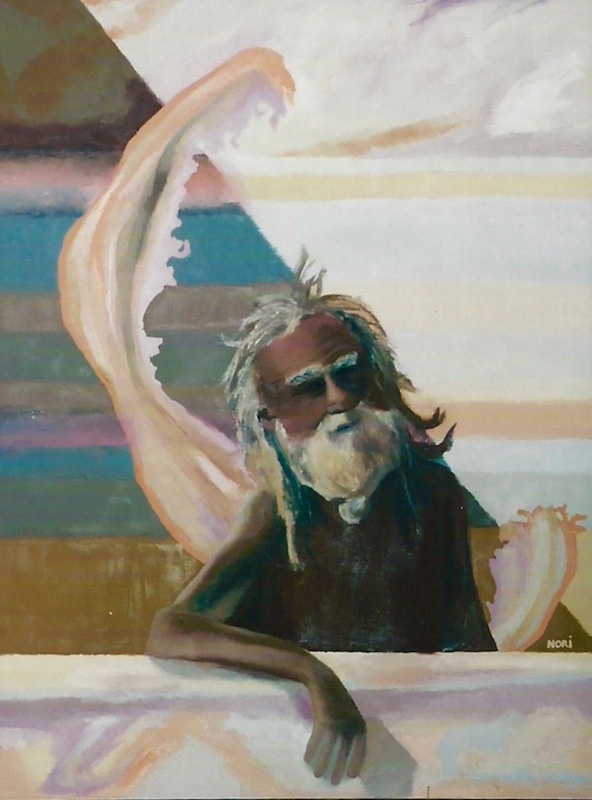 Mikey, oil on canvas, 24" x 30" (1995). 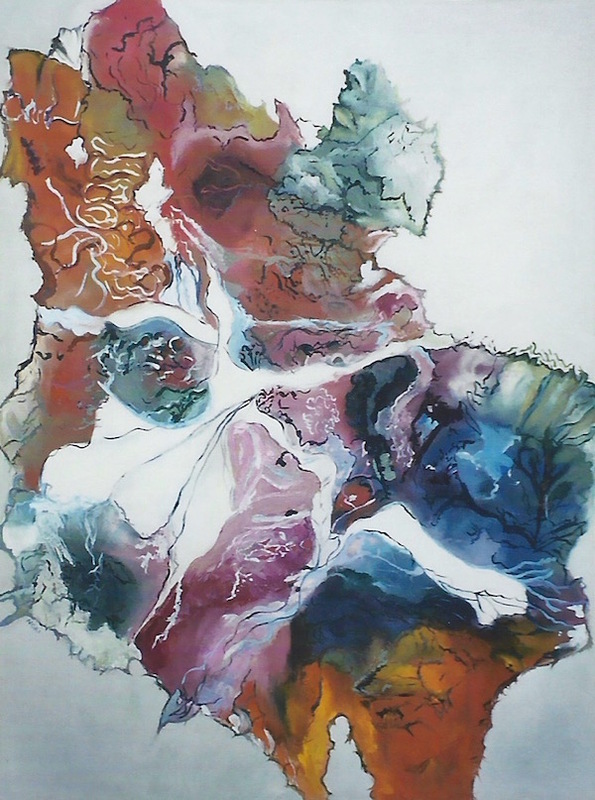 Vrindavana Map, oil on canvas, 50" x 40". 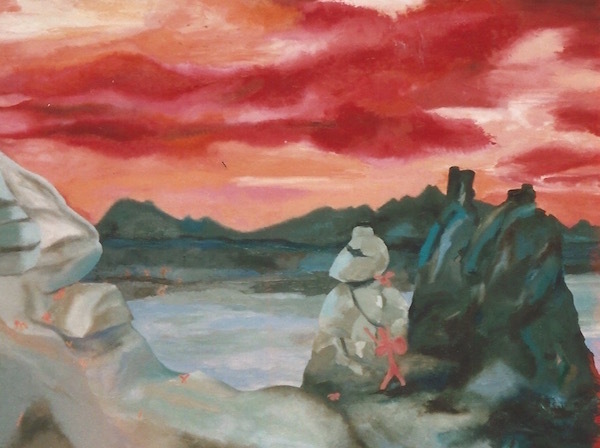 Depicting the hundreds of ISKCON children abused in Vrindavana, India, in the 1980s (painted in 1996). 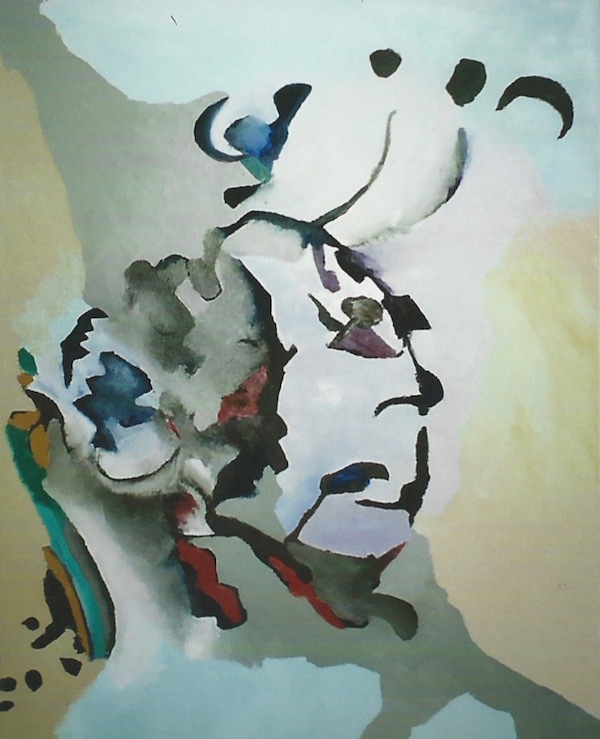 Abstract Man, oil on canvas, 32" x 48" (1995). 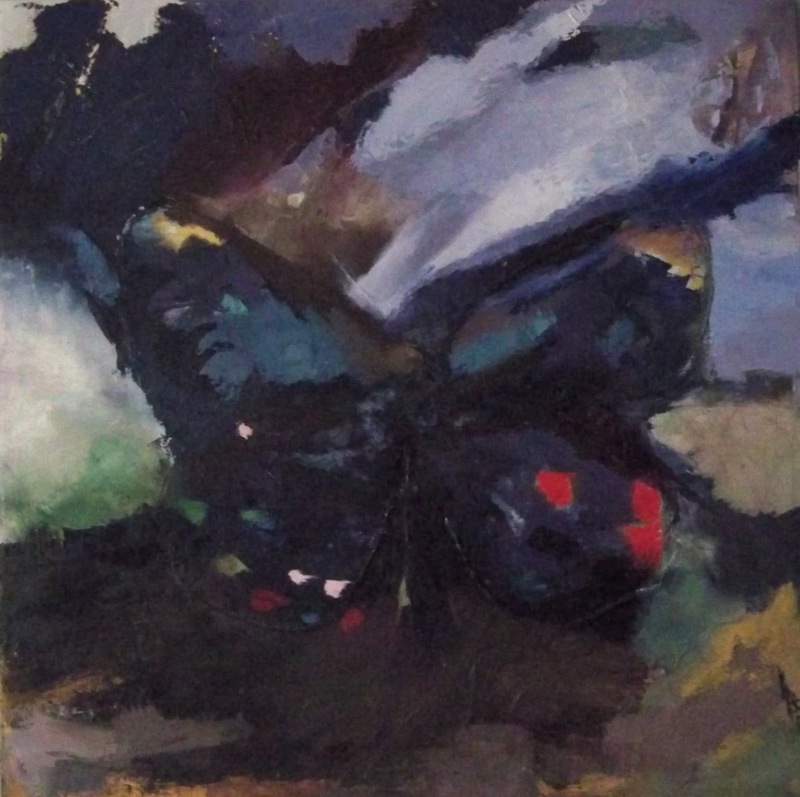 Butterfly, oil painting over used canvas, 40" x 40" (2014). Apartment at Hyperion and Griffith Park Boulevards. 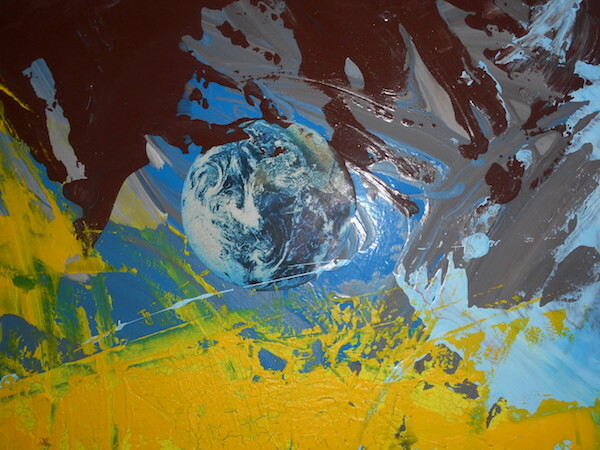 Oil paint over used canvas, 24" x 18" (2002). 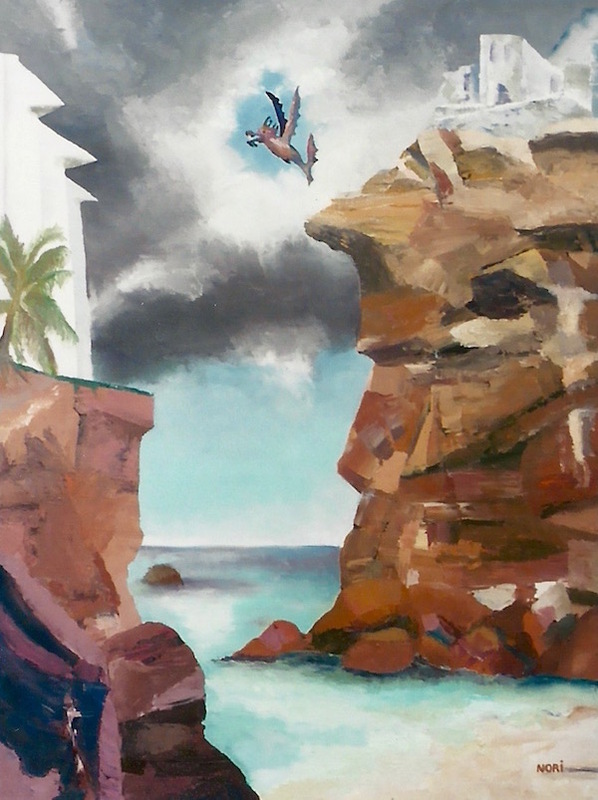 Lake Arrowhead, oil paint over used canvas, 30" x 40" (2002). 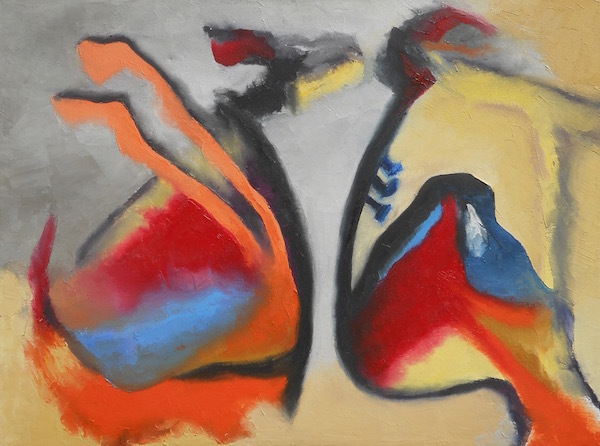 Abstract Pastels, oil on canvas, 24" x 30" (1992). 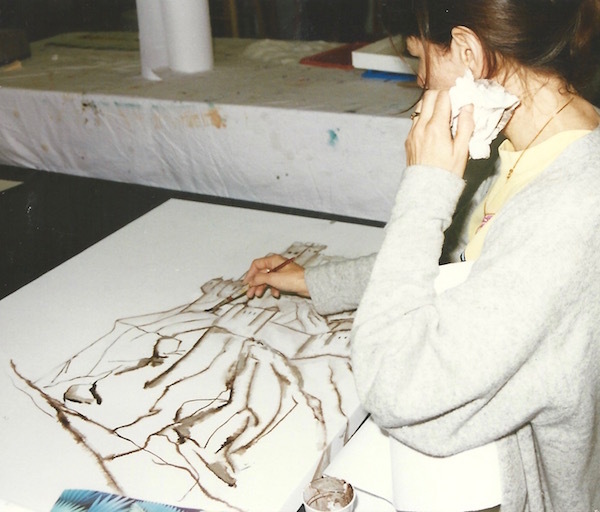 the Lu Bellamak art school in Scottsdale (1995). 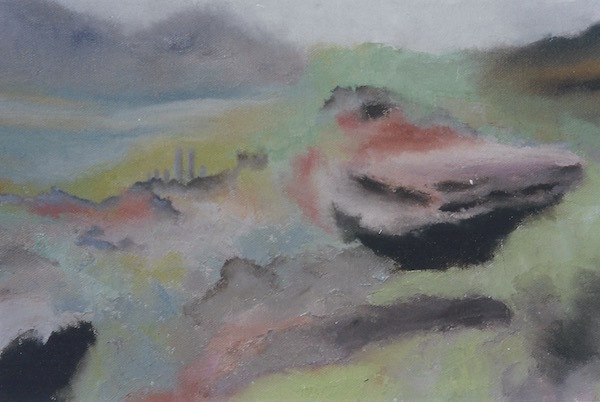 Cubist Steamboat, based on the Delta Queen Steamboat and St Louis Gateway Arch Monument. 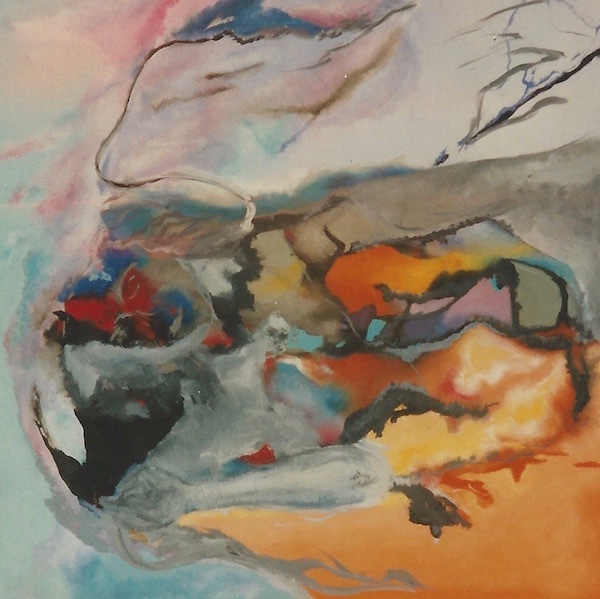 Oil on canvas, 32" x 48" (1996). 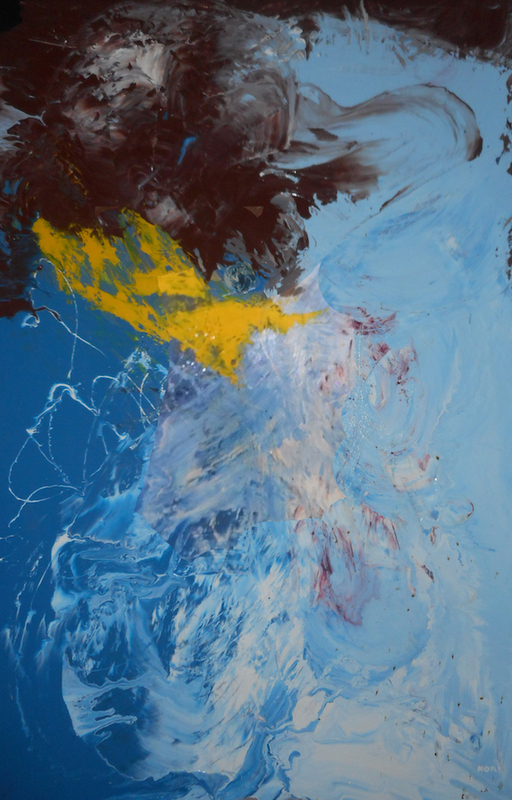 Exhibited at Prescott College alumni art show in 2017 . 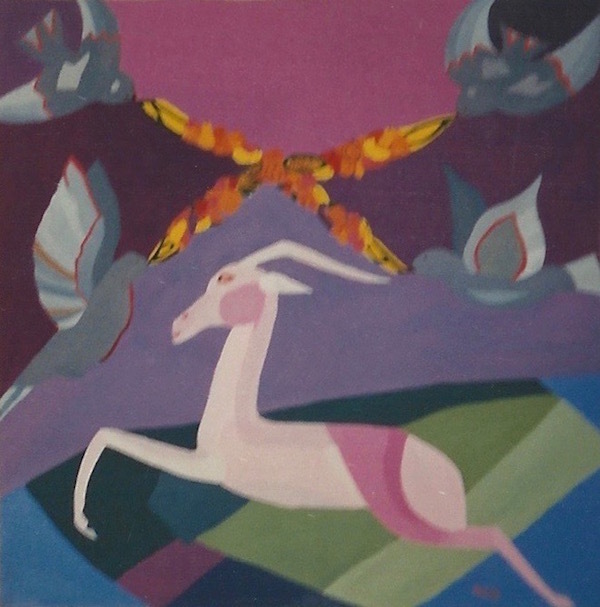 Creatures at Sunrise, oil on canvas, 46" x 40" (1995). 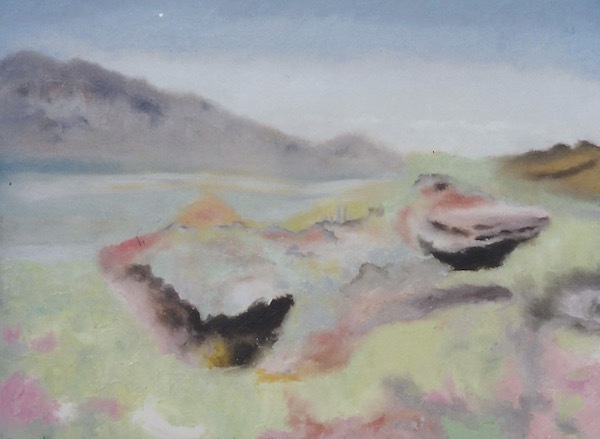 Filament Mountains, oil on canvas, 40" x 60" (1996). 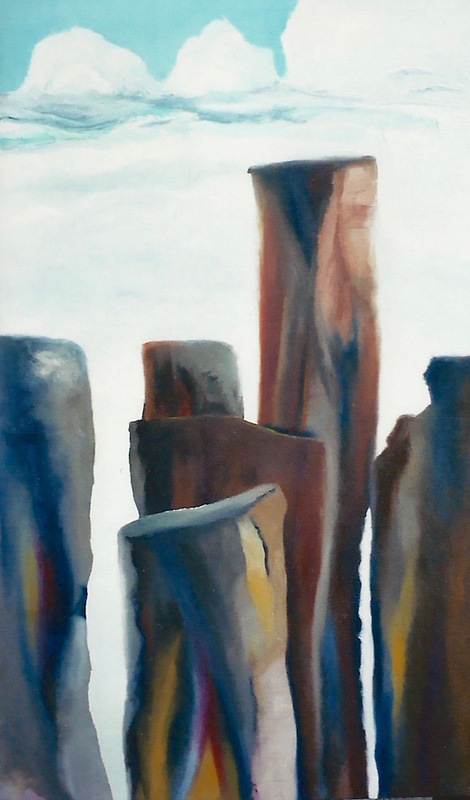 Tufa Mountains, oil on canvas, 44" x 60" (2004). 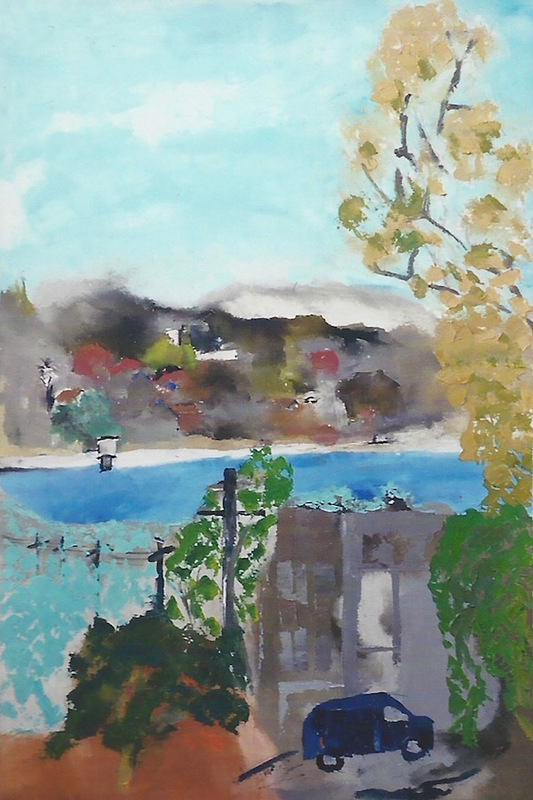 Silver Lake Reservoir, oil on canvas, 24" x 36" (2002). 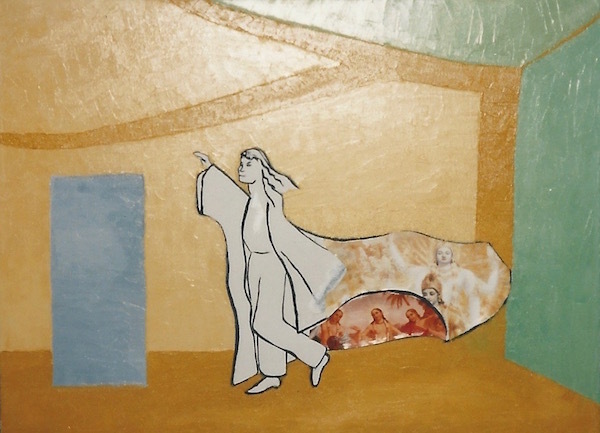 Door Spirit, oil on canvas, 24" x 36" (1995). 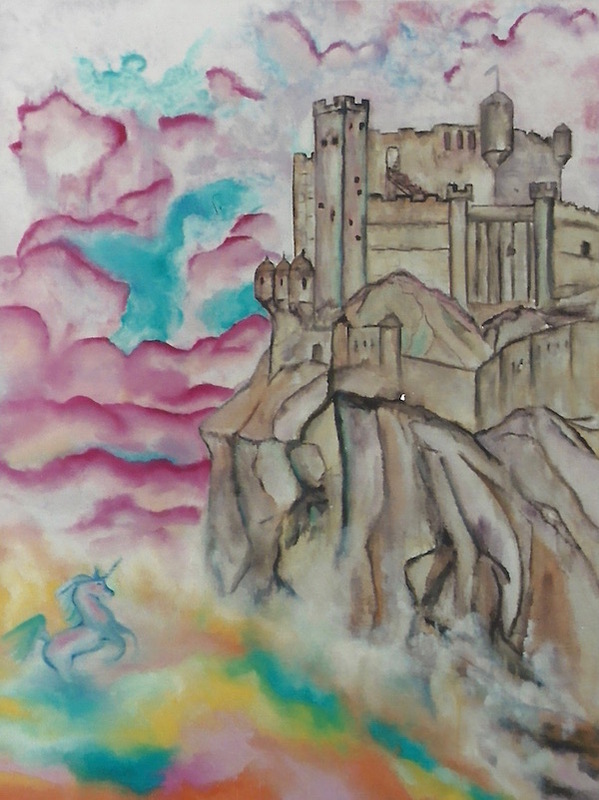 Print exhibited at IASD Dream Art Show, 2017. 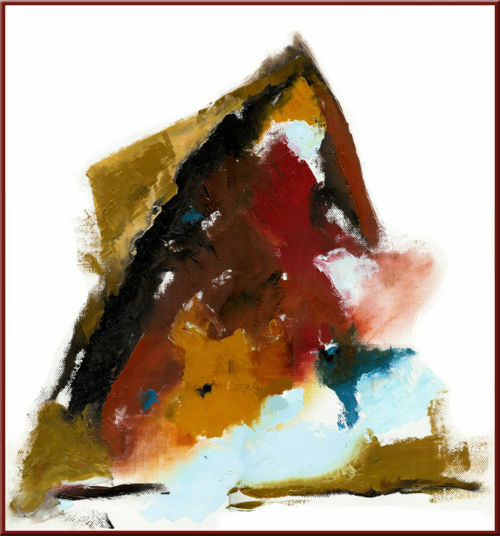 Abstract, oil on canvas textured paper (2005). 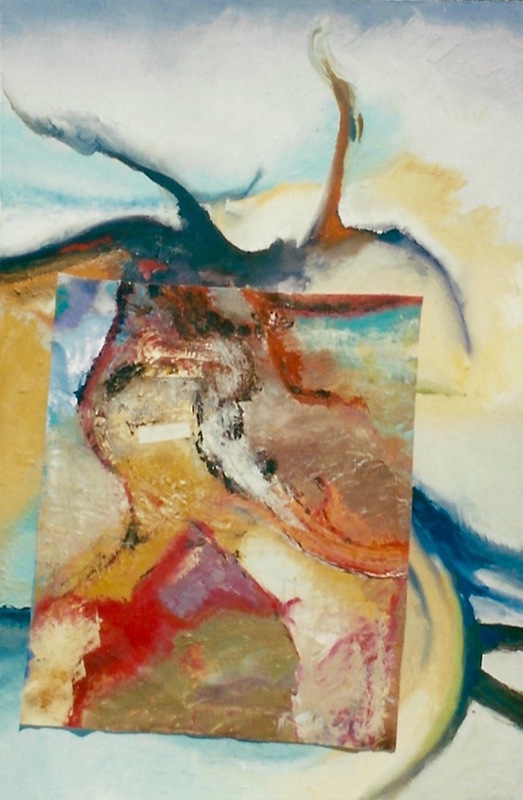 art school in Scottsdale, 30" x 40" (1995). 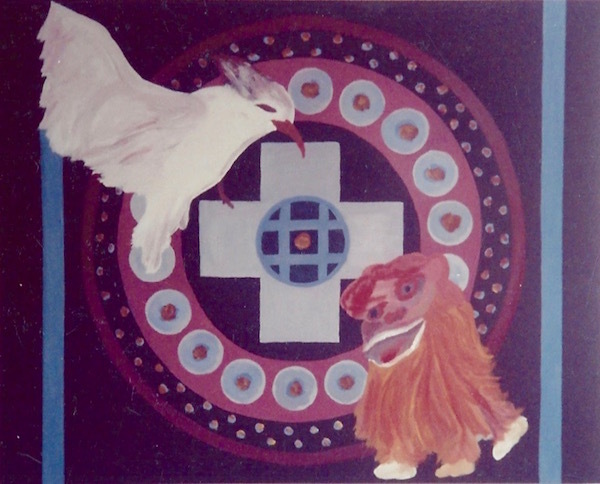 Mandala, painted while attending UCLA Extension. 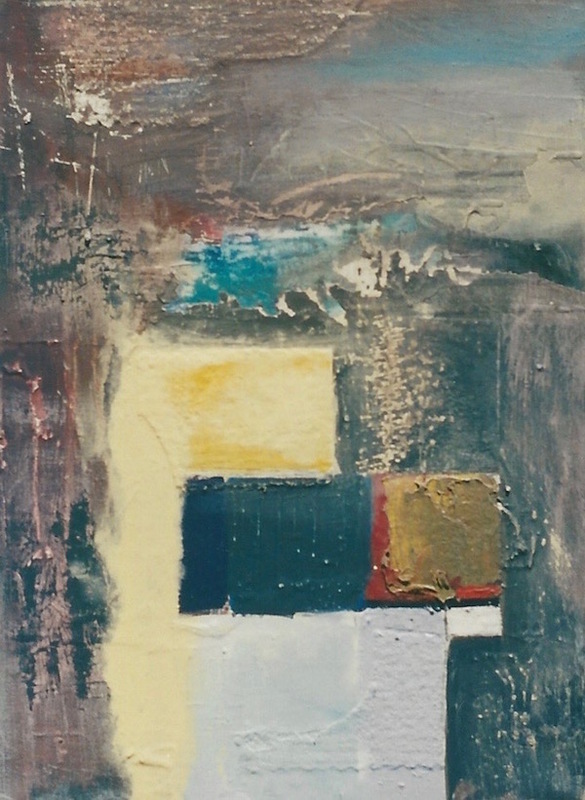 Acrylic on board (1989). 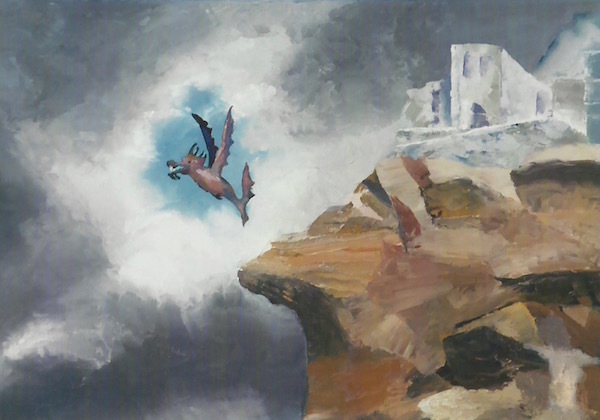 Image from a dream while writing Betrayal of the Spirit (1992). 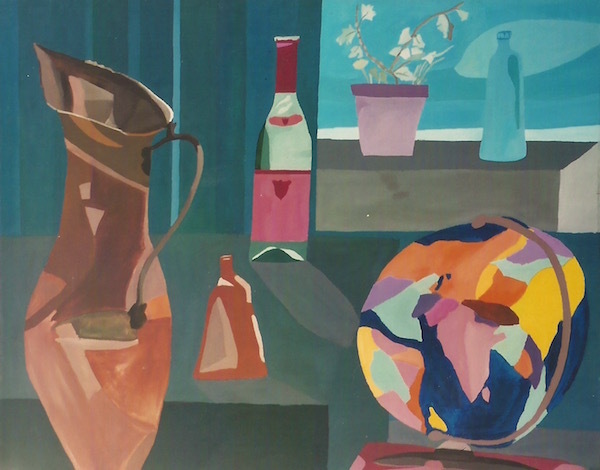 Still Life, acrylic on canvas, 46" x 40". 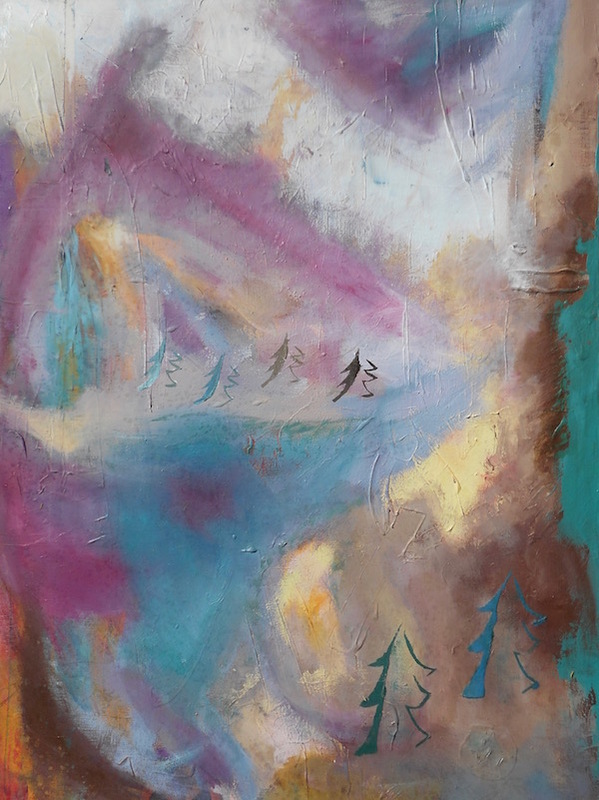 Painted at College of the Redwoods, 1975. 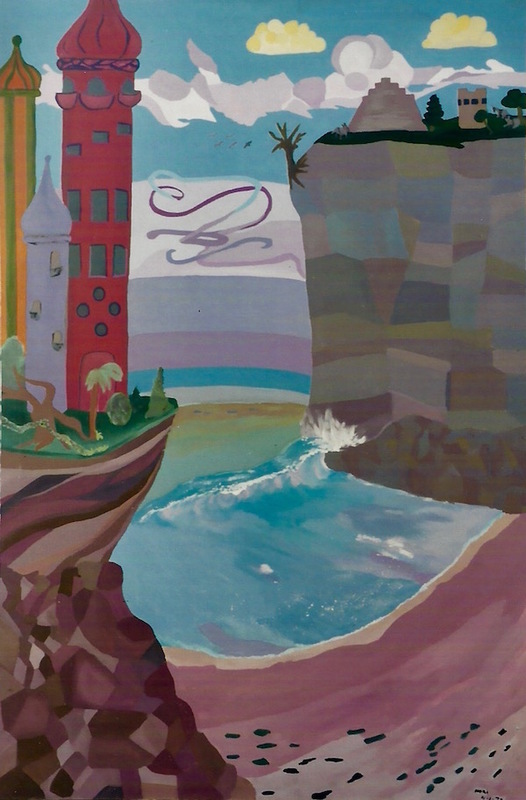 Early Noriland, acrylic on canvas, 45" x 60", 1978. 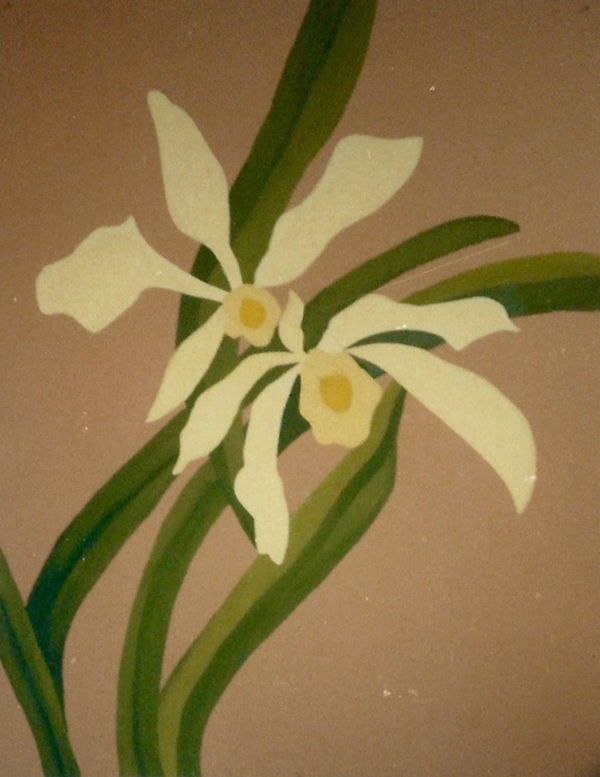 Daffodils, painted while attending UCLA Extension; acrylic on poster board (1989). 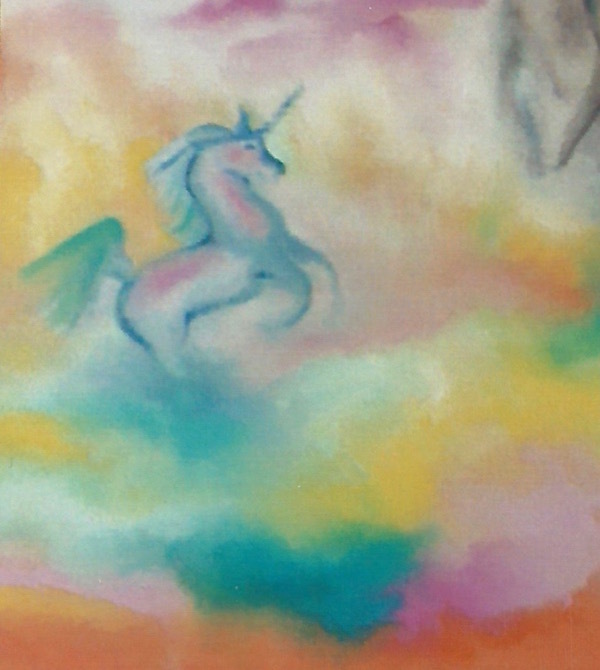 One Creature, house paint and oil paint over used canvas, 24" x 36" (1996). 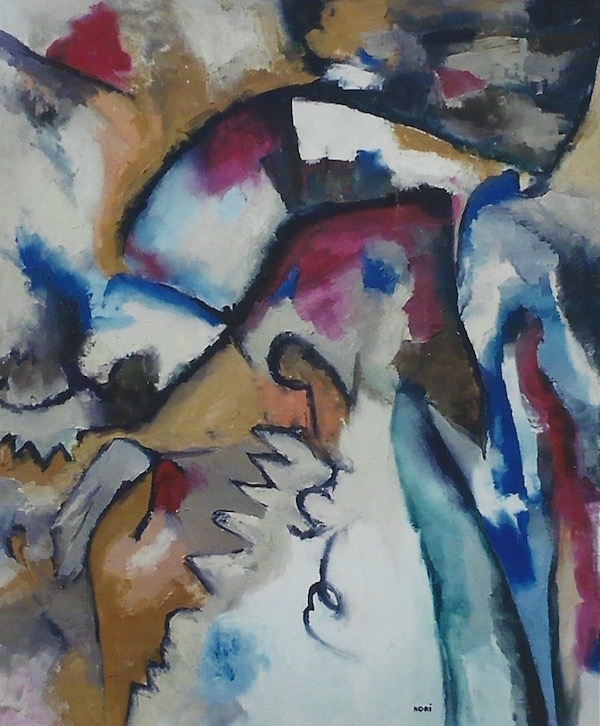 Two Creatures, oil on canvas, 24" x 18" (1996). 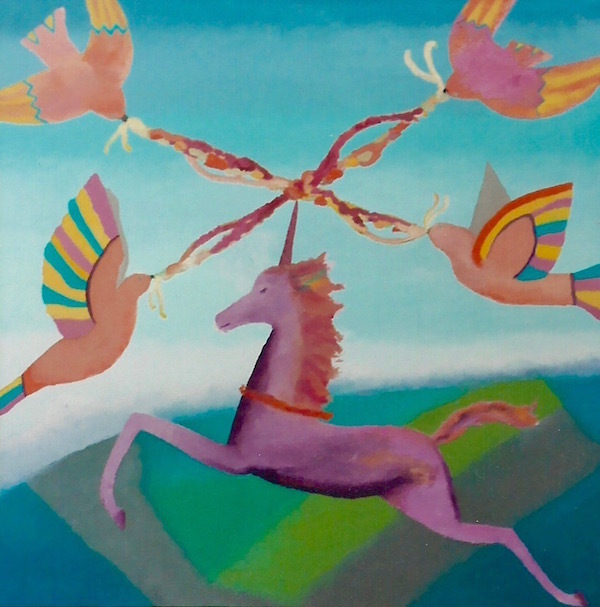 Unicorn Garlands, original version painted at College of the Redwoods, 1976 (repainted above*).